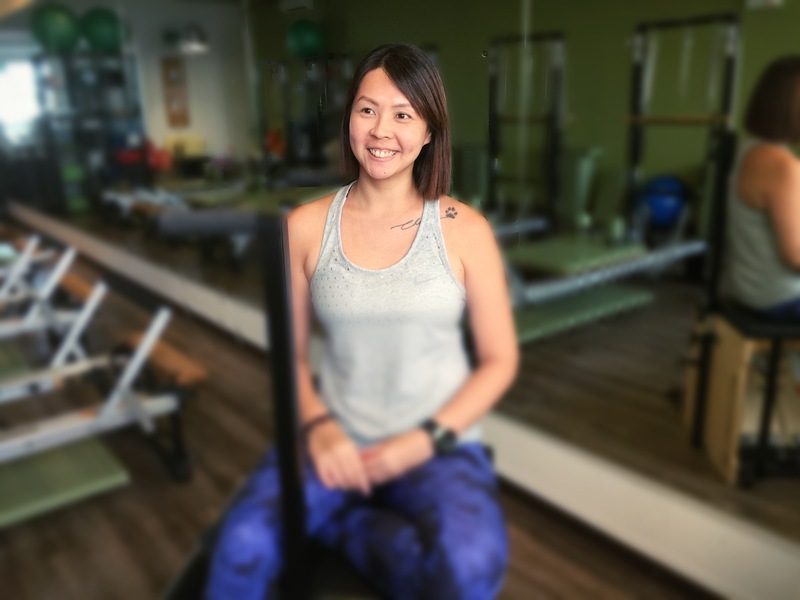 This September, we would like to welcome Charlene Chong into our Breathe Family, who will also be our Instructor Of The Month! Fun, dynamic and always ready with a smile, get to know Charlene a bit more as we sit down with her this month! Hi Charlene! Welcome to the family. Tell us a little bit more about yourself, and how you started on your pilates journey to where you are as an instructor today! I have always led an active lifestyle, from ballet to tap dancing, competitive swimming and cheerleading, it never ends! After I had my son, I felt stuck in a rut, and during a Pilates session, I thought, This is it! What better way to keep active and be able to follow my passion! So I quit my job and delved into the STOTT Pilates training program. It’s been a whirlwind year, and it’s the best decision I’ve made. You’ve chosen Lean as the exercise focus of the month. Why do you like this exercise? Lean. I have really weak obliques, so you have to do more of what you lack right? Lean works on the obliques as well hip flexion and extension. The lats get a work out too by holding the maple pole and stablising the torso during the lean. How is it like juggling motherhood (2 year old boys are VERY active!) and teaching; and how do you unwind after a particularly trying day? My little boy is now 2.5 years and is in preschool. So he’ll notice if I don’t pick him up and put him to bed, in fact he’ll actually ignore me the next day (for about 5 minutes). He’s very sweet, and mostly fun to be with, but trying days call for me curling up in bed with the tv on and binge watching Netflix. Now, on to the fun stuff – what’s your secret guilty pleasure? Having that extra glass of Guinness/Wine/gin/whiskey. Keyword being extra. What’s one little known fun fact about yourself? I pay attention to detail (just slightly OCD) and am a clean freak. I think its because I need stuff to do and hate being bored. Share with us your go-to healthy recipe! Miso salmon with broccoli and brown rice. marinate salmon with soy sauce, mirin, honey. Steam rice and put the broccoli florets in at the end for 2mins, then use fork to fluff them together, then bake salmon in oven and dinner is done! Going to the Harry potter theme park in U.S.! Imma Harry potter geek. Any secret embarrassing celebrity crushes? Your favourite holiday location and why? I am a travelbug and enjoy a city break as much as a beach one. This is tough but I’m gonna go with Tulum, Mexico. It has perfect beaches, mysterious cenotes, and historical sites. And seriously, tacos and margaritas, all day everyday??? I’m so there. Charlene will be mainly based in our Breathe Parkway branch.